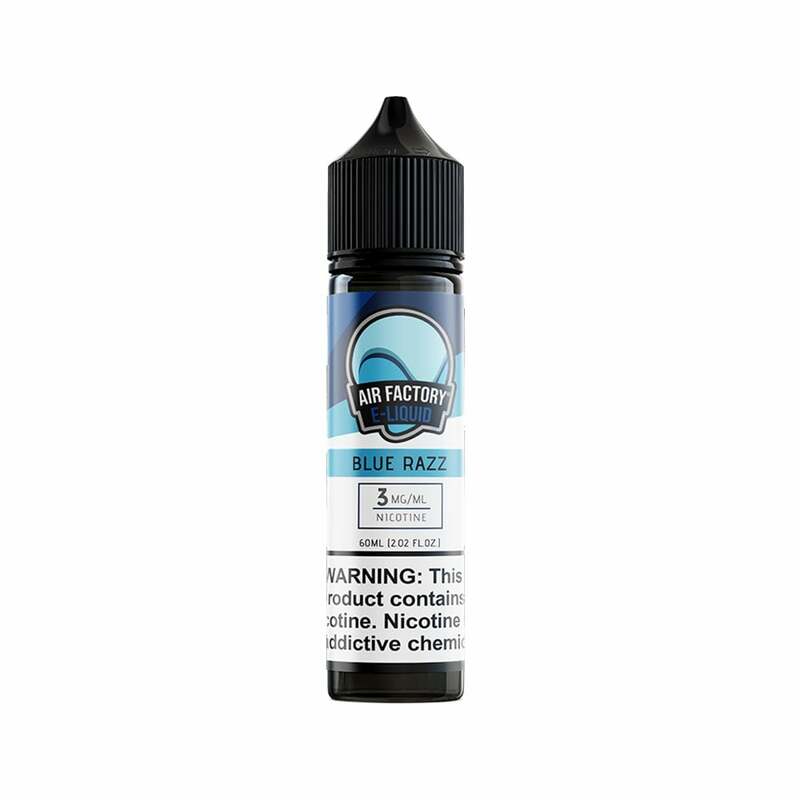 It's no surprise that Blue Razz vape juice from Air Factory is a fan favorite, and we're sure it's about to become your next go-to flavor. The classic blue raspberry flavor will wow you with its spot-on blue raspberry taffy flavor, slightly tart but with a candy sweet finish. Air Factory gives you a whopping 100ml of vape juice with every bottle, so you don't need to worry about running out of juice for your favorite sub-ohm device.